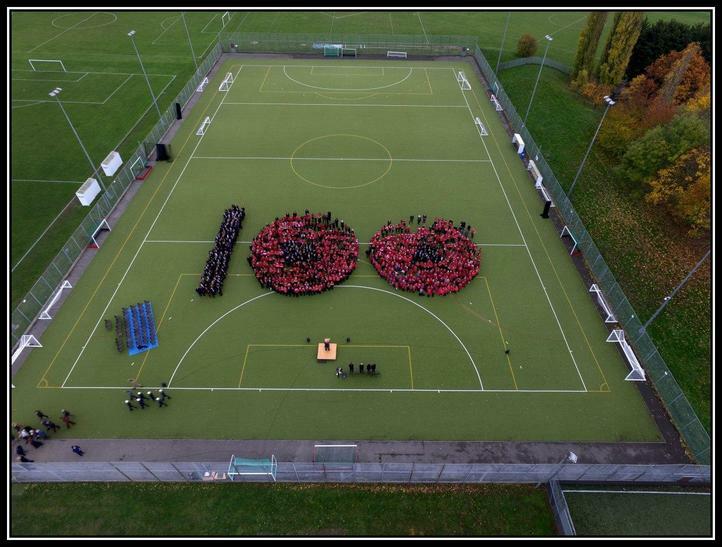 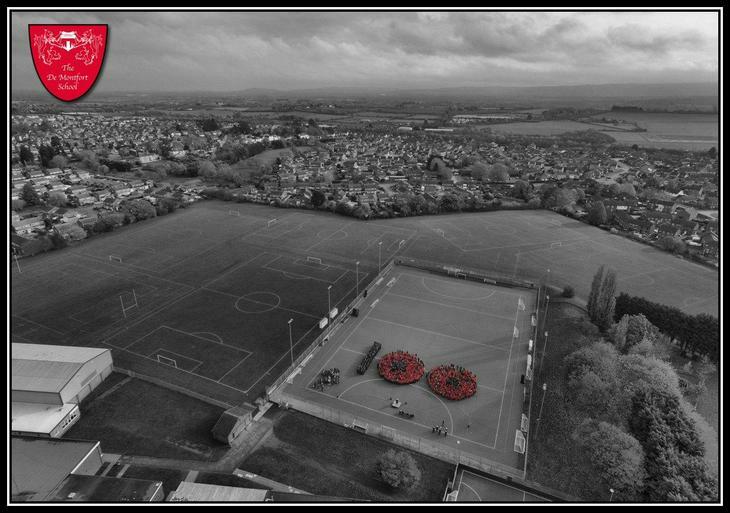 The school has taken part in several acts of remembrance for the 100thth anniversary of World War I. 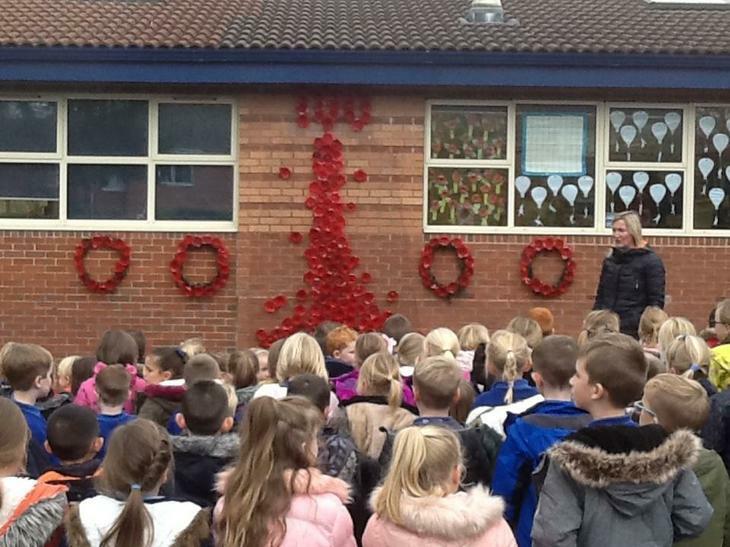 The whole school have contributed to an art installation of poppies which has been fixed to the wall on the school playground. 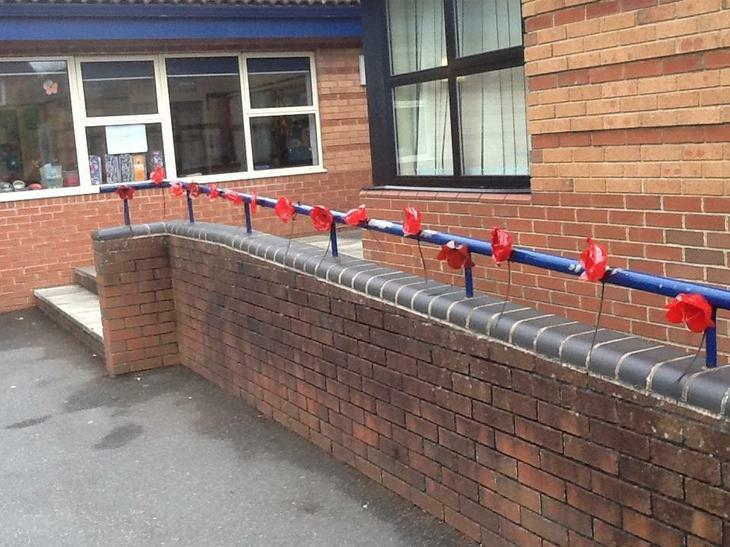 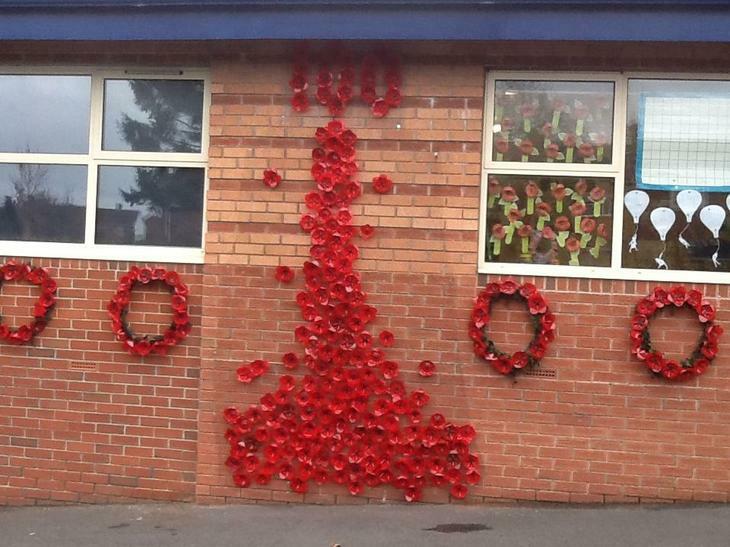 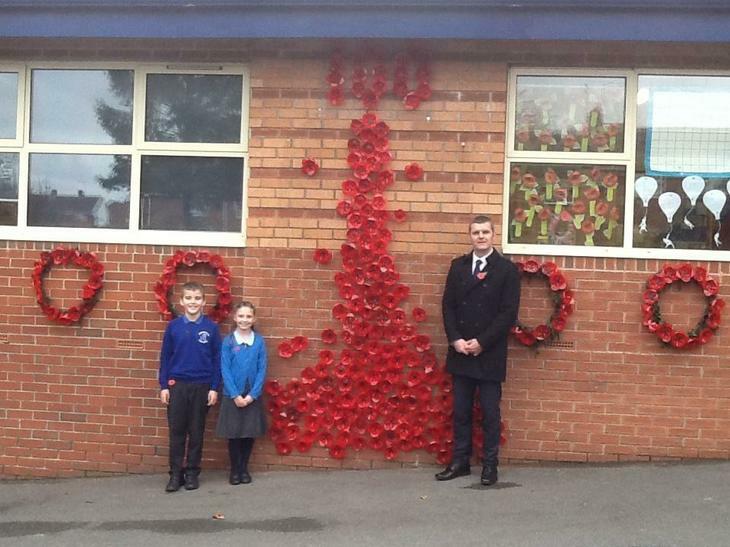 The school was decorated with poppies which every child has contributed to. 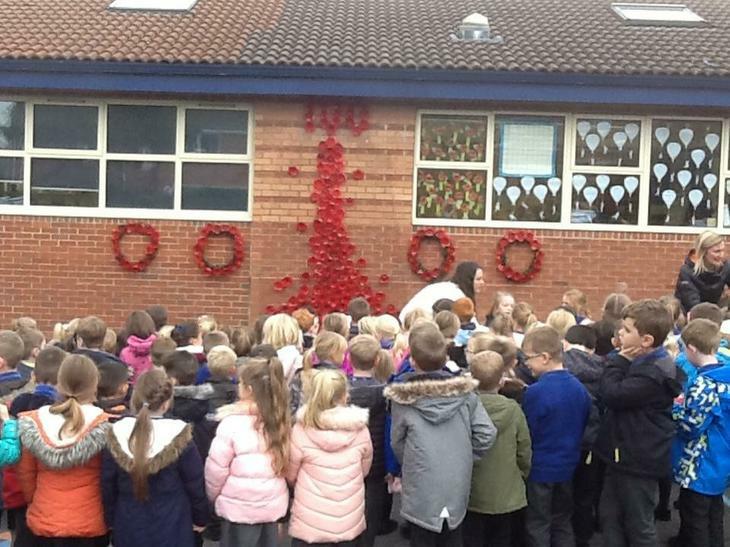 We have a very artistic and creative team of staff at school but we give special thanks to Mrs Ladbrook for her vision and artistic skills in putting the art work together. 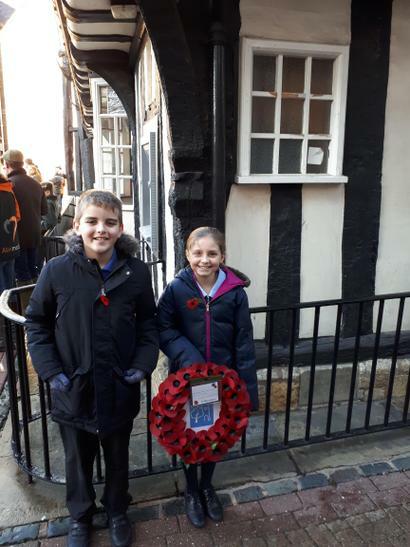 Our Head Boy and Head Girl proudly attended the Remembrance service in Evesham on Sunday 11th and placed our school wreath on the memorial.